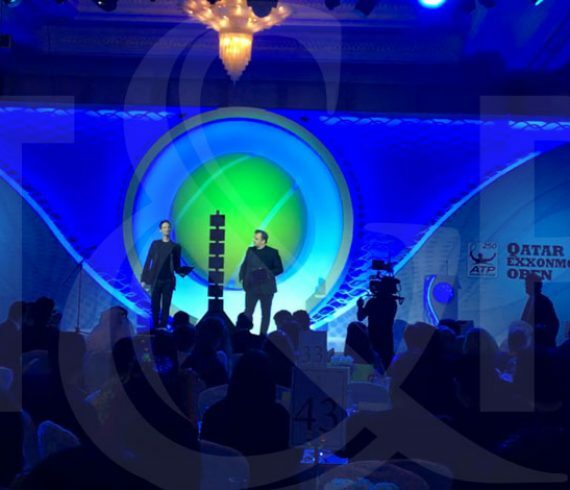 Our unique and stunning rola-rola duo has been performing in Doha, Qatar. 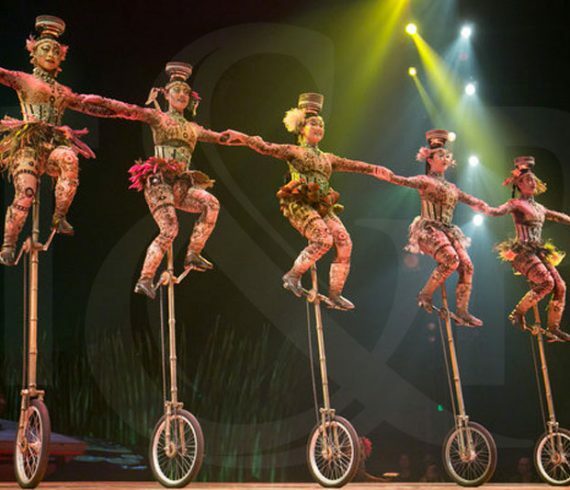 During an upscale diner our circus entertainment has been warmly welcomed by all guests. This is the kind of circus act that thrill the audience. 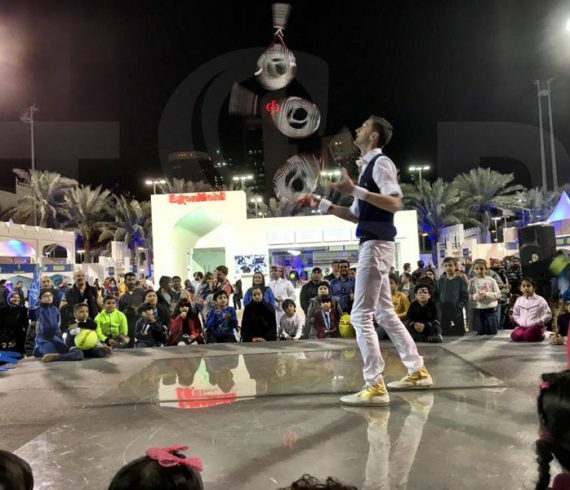 During several days and many times a day our tennis juggler entertained the crowd. It happened during the tennis tournament in Doha, Qatar in the Public Village area. For several years now, our agency has been providing performers during this well-known tennis event. Doha is like our second home and this time we were there to celebrate the National Sport Day. For a few days, our agency asked our jump rope artists to perform three times a day. They not only performed but also interact with the large crowd. They asked visitors to try out the jump rope for a few minutes with them, which was a lot of fun. Thanks to them and the organizers.